WASHINGTON - The Wall Street Journal said Thursday its computers were hit by Chinese hackers, the latest US media organization citing an effort to spy on its journalists covering China. The Journal made the announcement a day after The New York Times said hackers, possibly connected to China's military, had infiltrated its computers in response to its expose of the vast wealth amassed by a top leader's family. The Journal said in a news article that the attacks were "for the apparent purpose of monitoring the newspaper's China coverage" and suggest that Chinese spying on US media "has become a widespread phenomenon." "Evidence shows that infiltration efforts target the monitoring of the Journal's coverage of China, and are not an attempt to gain commercial advantage or to misappropriate customer information," said a statement from Paula Keve of Journal parent Dow Jones, a unit of Rupert Murdoch's News Corp. The Journal gave no timeline for the attacks but said a network overhaul to bolster security had been completed on Thursday. "We fully intend to continue the aggressive and independent journalism for which we are known," Keve said. On Wednesday, The New York Times reported that hackers have over the past four months infiltrated computer systems and stole staff passwords. The effort has been particularly focused on the emails of Shanghai bureau chief David Barboza, the newspaper said. According to a Barboza story published on October 25, close relatives of Chinese Premier Wen Jiabao have made billions of dollars in business dealings. "Chinese hackers, using methods that some consultants have associated with the Chinese military in the past, breached The Times's network," the newspaper said, citing a wealth of digital evidence gathered by its security experts. The newspaper said the IT consultants believed the attacks "started from the same university computers used by the Chinese military to attack United States military contractors in the past." The hackers stole corporate passwords and targeted the computers of 53 employees including former Beijing bureau chief Jim Yardley, who is now the Times's South Asia bureau chief based in India. The Times said Bloomberg News was also targeted by Chinese hackers, after publishing in June a report on the wealth accumulated by relatives of Xi Jinping. In November, Xi was elevated to leader of the Chinese Communist Party. In a related development, CNN said its international service went down for several minutes in response to its reporting on the hacking at the New York Times. "CNNI went dark for 6 minutes," said a tweet from CNN International anchor Hala Gorani. "#China blacks out CNN for @HalaGorani interview on hacking of @nytimes." In Beijing, China dismissed any notion that it was involved in any hacking. "The competent Chinese authorities have already issued a clear response to the groundless accusations made by the New York Times," Foreign Ministry spokesman Hong Lei told reporters in Beijing. "China is also a victim of hacking attacks," he said. 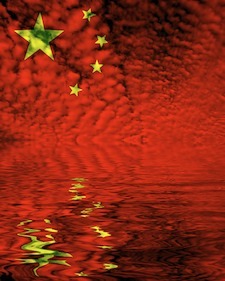 "Chinese laws clearly forbid hacking attacks, and we hope relevant parties takes a responsible attitude on this issue." The US online security firm Symantec, cited by the New York Times for having failed to prevent the infiltration, issued its own statement deflecting any blame. "Advanced attacks like the ones the New York Times described... underscore how important it is for companies, countries and consumers to make sure they are using the full capability of security solutions," the company said. "Turning on only the signature-based anti-virus components of endpoint solutions alone are not enough in a world that is changing daily from attacks and threats."